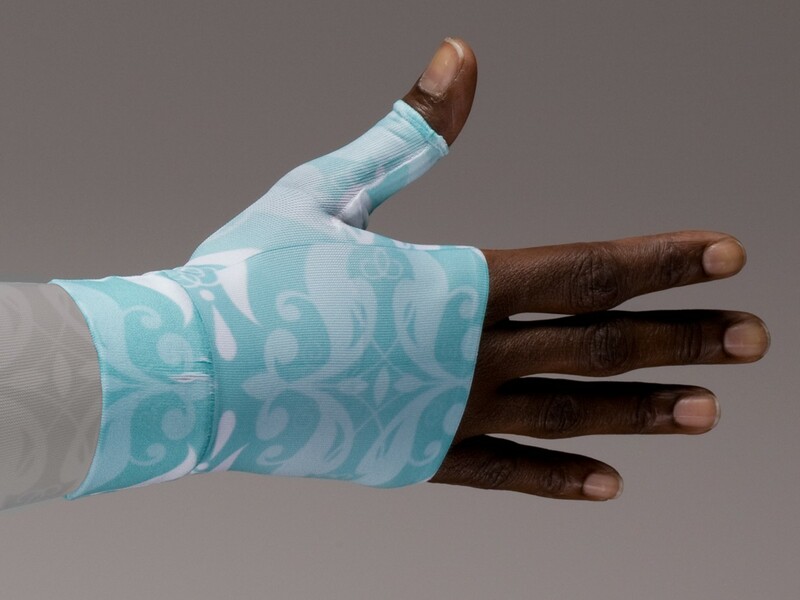 The LympheDivas Warrior Seafoam Compression Gauntlet 30-40 mmHg compression gauntlet is designed to overlap the LympheDiva armsleeves to reduced compression at the wrist. Match your 30-40 mmHg Warrior Seafoam gauntlet and armsleeve or mix with another pattern or solid LympheDiva sleeve. Made in the USA from 81% nylon and 19% spandex. You can also wear LympheDIVAs products on an unaffected hand. 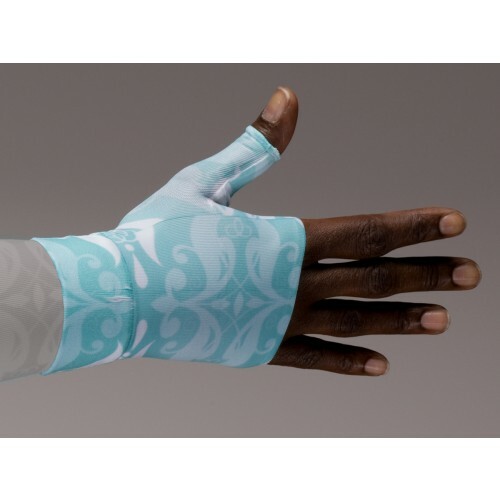 Warrior Seafoam gauntlets are extremely fashionable and stylish! Compression apparel is known to improve performance. By wearing LympheDIVAs Warrior Seafoam gauntlets as a fashion accessory or performance enhancer, you help prove that the guantlet is more than just a medical device.